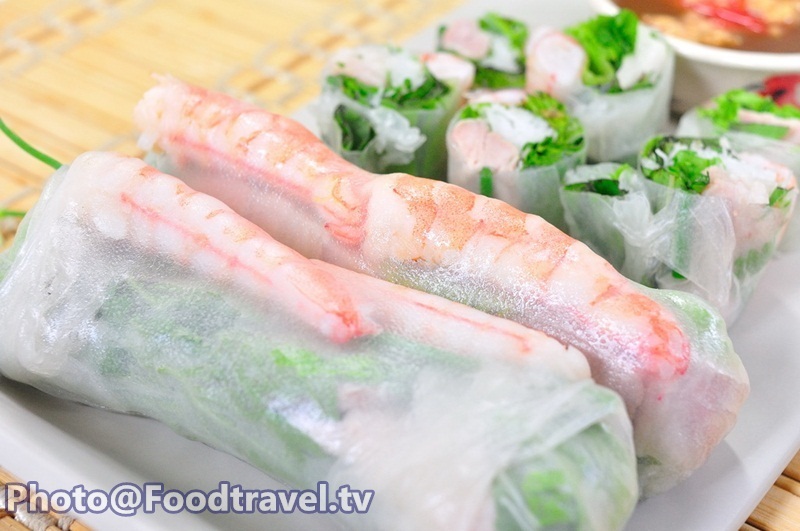 Vietnamese Fresh Spring Rolls with Shrimp (Por Piea Vietnam Goong) - There are many different of Vietnamese Fresh Spring Roll recipes. 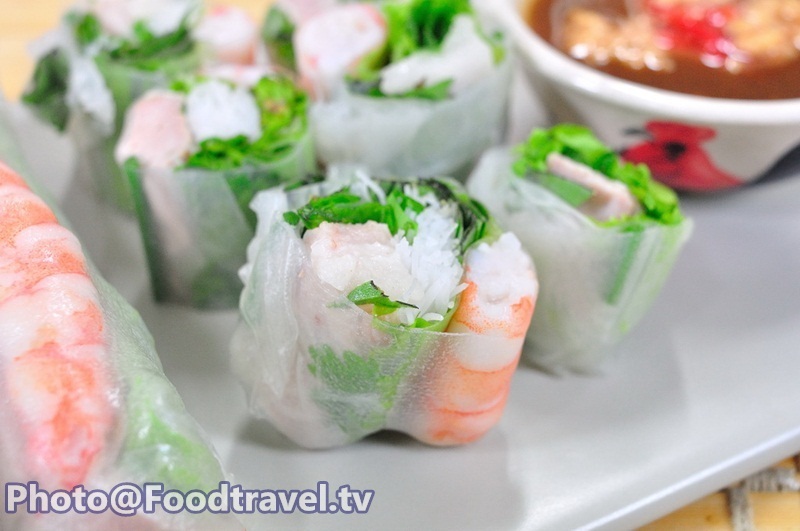 With easy ingredients that not difficult to prepare. 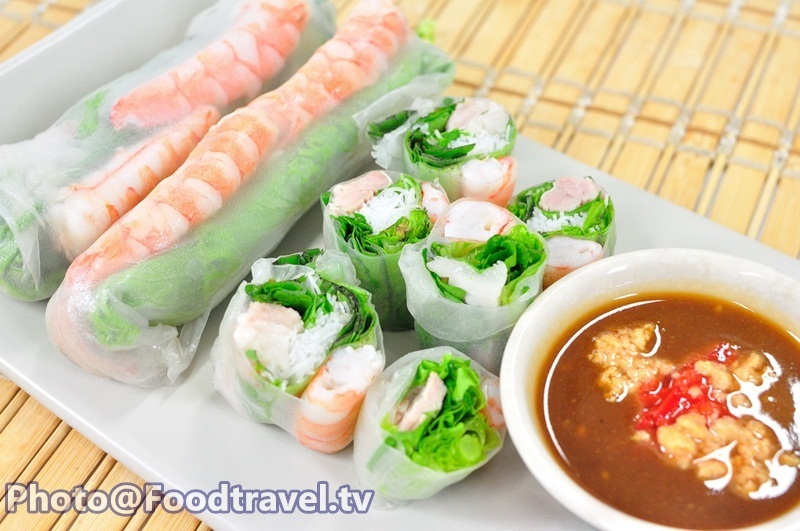 Let’s try this simple spring roll. 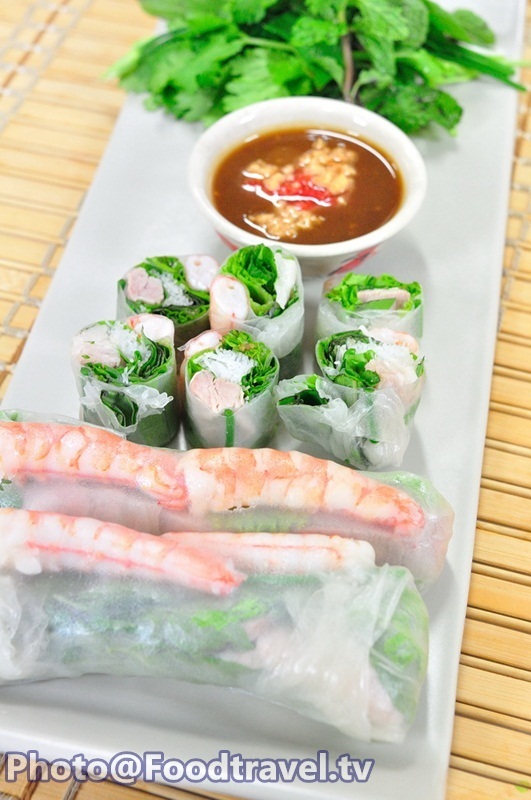 And serve with dipping sauce. 1. Sauce – Fry garlic with oil just a little in the pan. 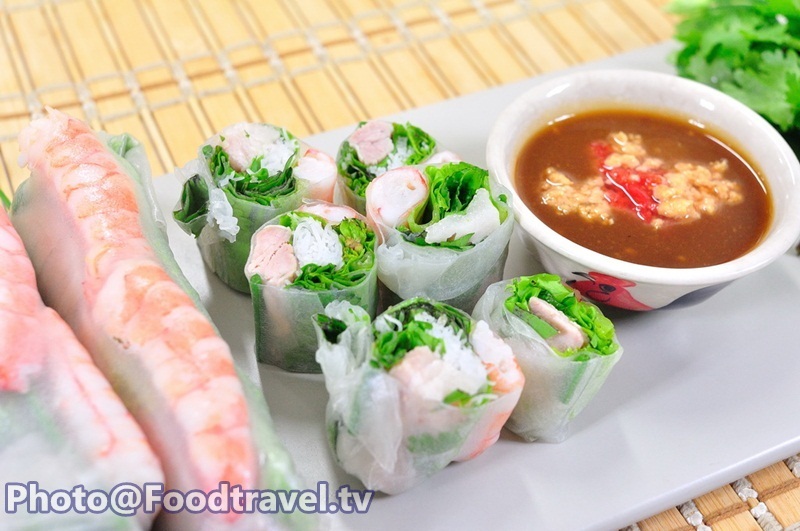 Add Hoisin sauce, peanut butter, sugar, 1-2 tbsp. water and stir until dissolve. 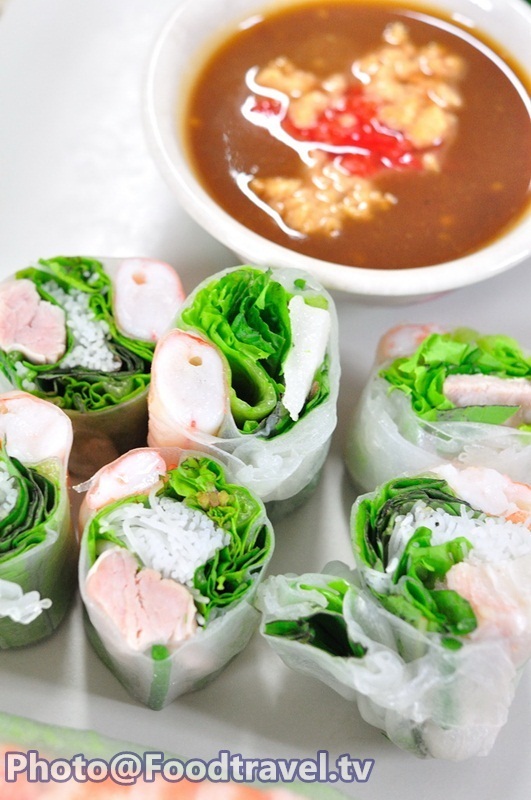 Taste and set in the sauce. Pound goat pepper and mix with vinegar. Add on the sauce and sprinkle with grounded peanut. 2. 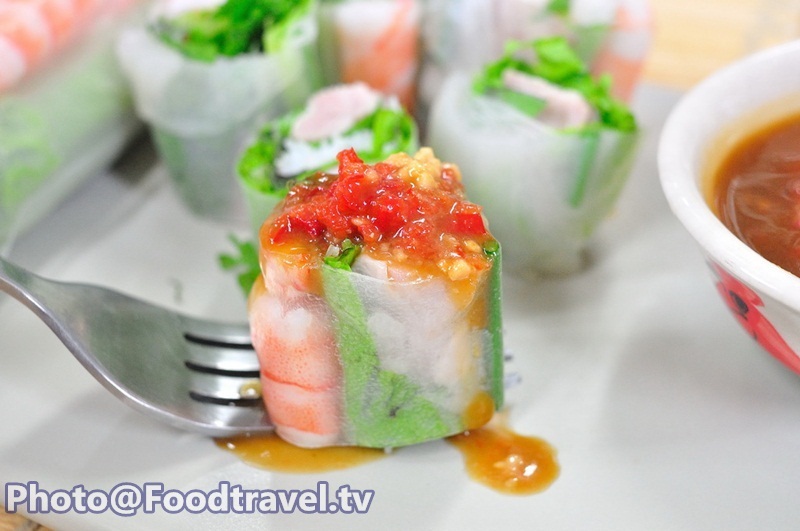 Wrapping – Put spring roll in the water quickly. Then add filling in the middle. Add cauliflower, boiled streaky pork, noodle. 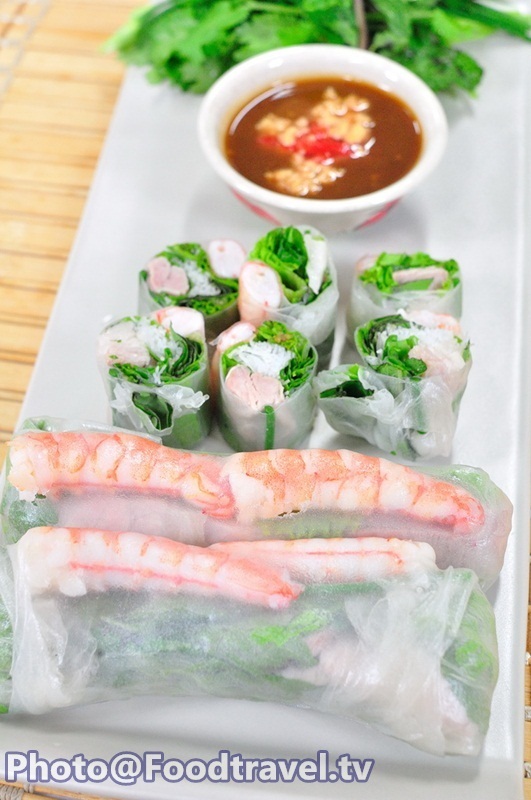 Roll it, add blanched shrimp and Chinese Chive. 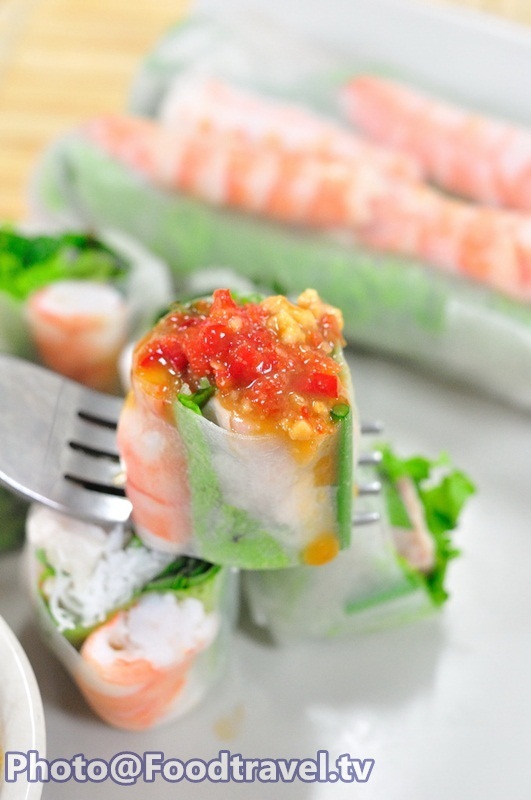 Wrap tightly or you can trim like making sushi as well.